Arthritis is the leading cause of disability in the U.S. 54 million adults and 300,000 babies and children are living with arthritis of some kind. But did you know, arthritis isn’t actually a name for a single disease? Rather, it’s become a shorthand used to describe joint pain, swelling, stiffness and a decreased range of motion. Arthritis symptoms show up differently for each patient and may be anywhere from mild to completely debilitating. Sometimes these arthritis symptoms seem to clear up for a while; other times, they just keep getting worse. What makes some more susceptible to pain than others? The severity of your symptoms might be proportional to your lifestyle. There are many lifestyle changes that can reduce the risk, delay onset, or even prevent arthritis, without the side effects of medication. Even the food you put on your plate can induce–or reduce–arthritis pain. 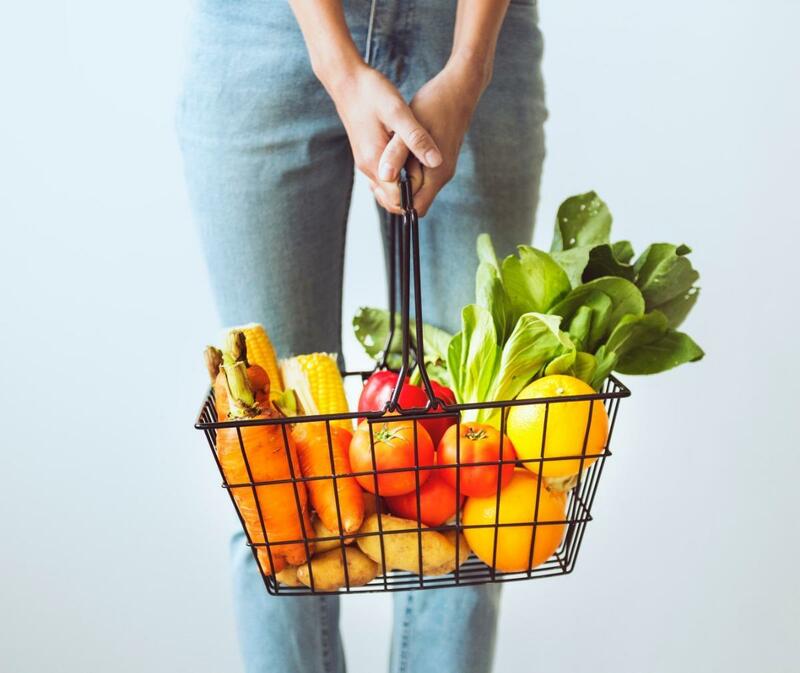 So before you plan your next meal or load up a plate of snacks, read on to know which foods are best at reducing your joint inflammation and pain. Beans are full of fiber and phytonutrients, which help lower inflammation. They’re also an excellent source of protein, packing about 15 grams per cup. Whether it’s small red beans, kidney beans, black beans or pinto beans, aim for at least one cup, twice per week. Eating just 3-4 ounces of fish (about the size of your fist) two times a week is a great source of inflammation-fighting, omega-3 fatty acids. Any cold-water fish packs a ton of this omega-3s, including salmon, tuna, sardines, herring, anchovies, and scallops. Not a fan of fish? Fish oil supplements also help reduce joint swelling and pain, morning stiffness, and overall disease activity, particularly for rheumatoid arthritis. Grab a handful of nuts each day (that’s about 1.5 ounces) to lessen the inflammatory effects of arthritis. Thanks to the monounsaturated fat they contain, nuts like walnuts, pine nuts, pistachios, and almonds are all inflammation-fighting powerhouses. Just be careful to avoid highly salted or processed nuts, as salt (and sugar) can increase the effects of arthritis. Olive oil contains heart-healthy fats with properties that are actually quite similar to anti-inflammatory drugs (without the side effects, of course). When buying olive oil, the grade refers to when the pressing occurs, the amount of processing and refining, and the acidic level. Because it’s taken from the first press with minimal processing, “extra virgin” olive oil will have more nutrients and benefits than “virgin,” “pure” or “blended” olive oils. Shoot for 2-3 tablespoons of extra virgin olive oil each day. Whole grains get plenty of attention because they’ve helped many people maintain a healthy weight. Studies also show that fiber and fiber-rich foods can lower inflammation levels, too. But not all grains are equal; try to eat foods made with the entire grain kernel, including whole-wheat flour, oatmeal, bulgur, brown rice, and quinoa. Overall, aim for a total of six ounces of grains per day, at least three of which should come from whole grains. Leafy green vegetables (like spinach) are full of nutrients that help relieve inflammation associated with arthritis. Besides spinach, broccoli, Brussels sprouts, and cabbage are also packed with a compound called sulforaphane, which helps slow cartilage damage in the joints from osteoarthritis. Add these to your plate as often as you can! Garlic contains a compound called diallyl disulfide that may help with the effects of arthritis, including damage to cartilage. Garlic also adds flavor to foods, thereby reducing the need for excessive salt– a double win for arthritis patients! Ginger contains components that naturally block the body’s production of inflammatory substances. Try grating a few tablespoons of fresh ginger on a salad or simmer 1-2 tablespoons with hot water to make a refreshing and healthy tea. Note: if you are taking blood-thinning medications, be sure to check with your doctor or pharmacist first, as ginger can also interfere with some medications. The powerful antioxidants in vitamin C may slow the progression of arthritis. Foods rich in vitamin C include grapes, strawberries, kiwi, pineapple, cantaloupe, and oranges. Vitamin C supplements have these same positive effects, although getting this vitamin from real food is always ideal. A properly-balanced diet featuring inflammation-fighting foods can significantly improve your arthritis symptoms and pain. You’ll get the very best outcome, however, when you combine this diet with other safe, non-invasive, and non-addictive treatment methods. Chiropractic care for arthritis pain may include a series of chiropractic adjustments, or gentle pressure applied to the spine and impacted joints to reduce restrictions and misalignments. By improving your spinal health, joint mobility, and the functioning of your nervous system, your body can better manage the pain and swelling that comes with arthritis. Though every patient’s chiropractic treatment plan and results are different, arthritis patients often experience significantly-reduced pain and discomfort, decreased inflammation, and an improved range of motion and flexibility. Could chiropractic care be a great fit for your arthritis pain and discomfort? Make an appointment online or by calling our office at (949) 397-6699 to learn how we can create your customized treatment plan. Our goal is to make sure you feel better, now and in the future.